Must be CHANEL! 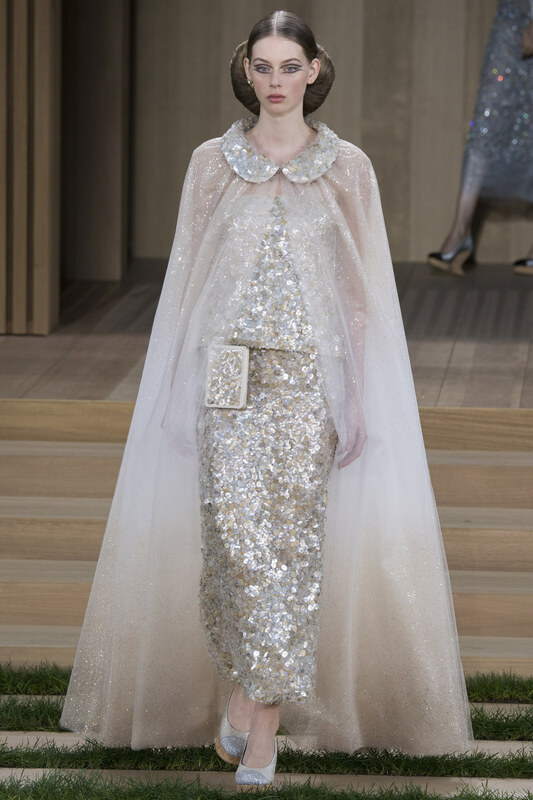 Thats right, Lagerfeld and Chanel presented Haute Couture for spring 2016 yesterday at the Grand Palais, and once again leave no doubt that the Kaiser is THE Cecil B. DeMille of the runways. 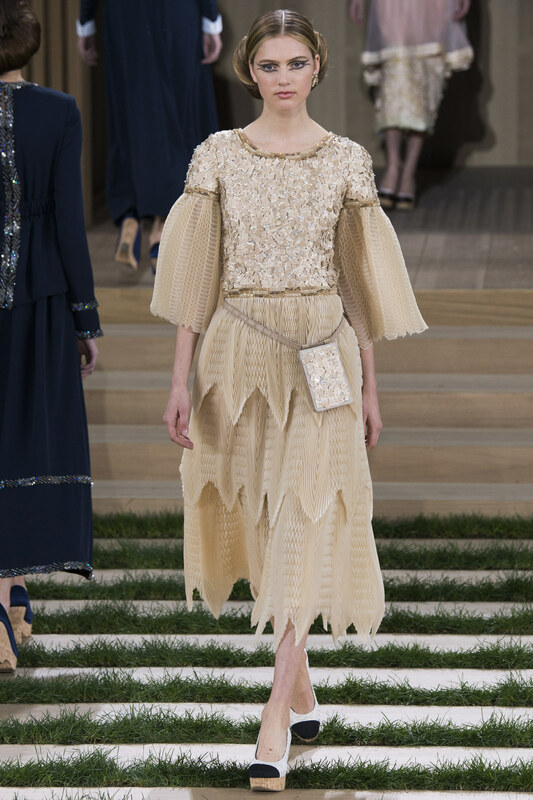 The Chanel atelier has some of the most skilled artisans working today bringing Lagerfeld's grandiose imaginings to fruition in yet another ravishing display of finery. 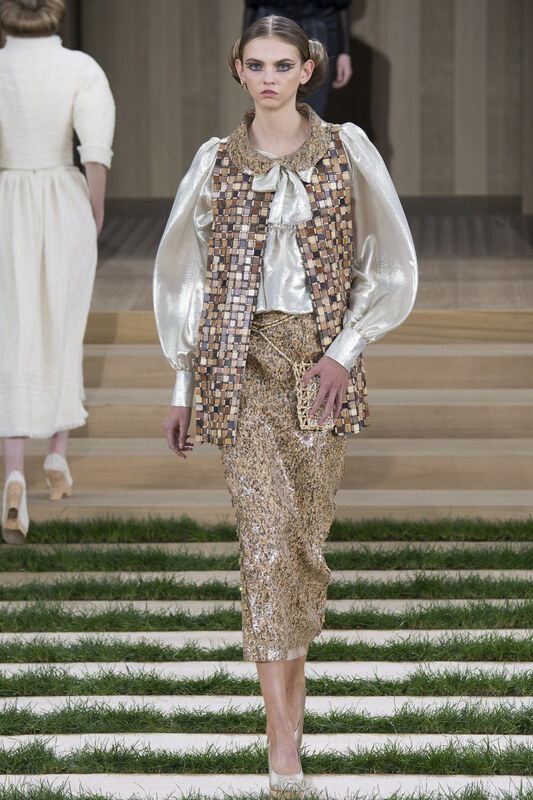 The show begins with a new version of the iconic fantasy tweed suit in a simmering palette of pastels and neutrals rendered dramatic by pairing abreviated jackets with a sculped puffy sleeve with streamlined slim body hugging midi skirts. 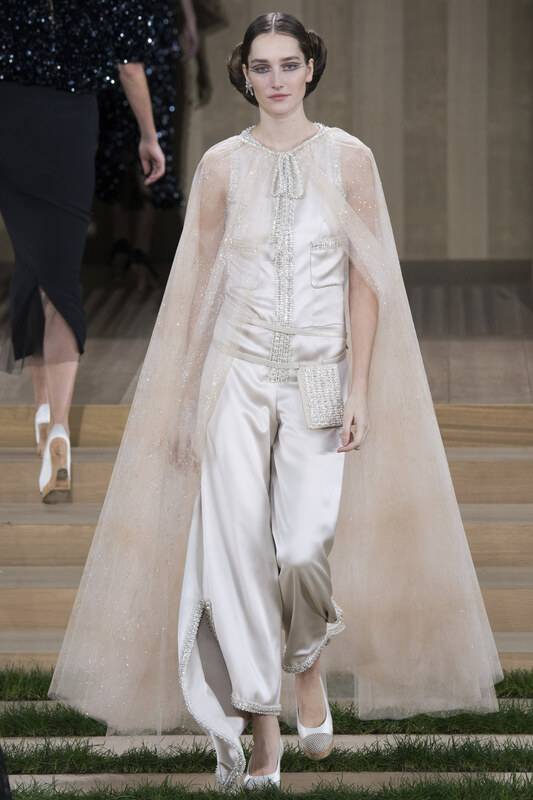 In a vast collection of 76 looks, there were segues to varied themes of school girl coy, 30's glam (as in I could imagine Jean Harlow and Carole Lombard happily ensconced in this fare), medieval princess and avant-garde opulent. Once again we are treated to an astonishing assembly of frocks and gowns composed of a variety of silkens and curious tweeds, intricately interwoven embellishments and passementerie, in tried and true AND unexpected silhouettes. Yes, Kendall Jenner and the Hadid girls were in the model mix, and even their considerable celebrity could not outshine the high artistry of Chanel. Its all about THE SLEEVE!!!! Never has black and white been so brilliant! Something about the long skirts and puffy sleeves, I am reminded of medieval denizens such as Maid Marian of Robin Hood fame. Just a simple frock for tooling around Monte Carlo…….s i g h.
These satin lovlies conjure visions of old school Hollywood. Latter day CAPED CRUSADERS. Normally capes tend toward the dubious. But here? The perfect light yet theatrical adjunct. Really, no house can compete in the arena of audacious adornment. This WEDDING ensemble is composed of "wild cotton" and will qualify for the eco-friendly annals. Heh, you gotta love it!